Nucleolites scutatus, from the Natural History Museum. 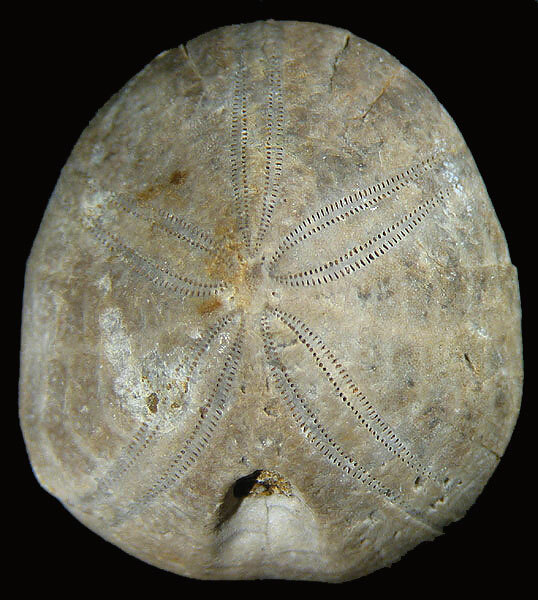 The Nucleolitidae are recognised as a group of irregular echinoids known from the Middle Jurassic to the Upper Cretaceous; however, they are also ancestral to a number of other families of cassiduloids with members ranging up to the present day (Kier 1966). Characters (from Kier 1966): Apical system tetrabasal; petals moderately developed, usually open, with narrow poriferous zones; usually double pores in all ambulacral plates; phyllodes narrow; bourrelets moderately developed.